Countless Americans look forward to retirement and the flexible lifestyle it tends to offer. Unfortunately, a large number of workers might never get there. 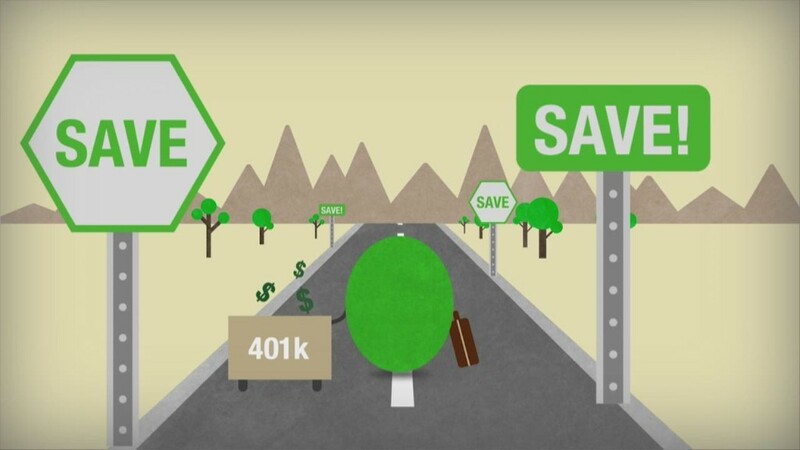 In a TD Ameritrade study, 25% of U.S. adults say they don't think they'll ever retire. And they're probably not the only ones. That's because 1 out of every 3 workers have no money set aside for the future, and that includes 30% of folks 55 and over. But even those who are saving aren't doing a good enough job. Baby boomers aged 56 to 61 have a median savings of $17,000, which won't last very long in retirement. And the fact that many seniors are living longer puts retirement in an even more precarious spot. Even if you're fully intent on retiring down the line, you may find yourself unable to do so if your circumstances don't allow for it. Here are a few signs that retirement may not be in the cards for you. A big reason so many working Americans don't prioritize retirement savings is that they're convinced that their Social Security income will suffice in paying the bills. But by thinking that way you may be setting yourself up for disaster. That's because even in a best-case scenario, Social Security is only designed to replace roughly 40% of the average worker's pre-retirement income. Given that most seniors need at least 80% of their former earnings, and that Social Security is facing potential cuts that could slash benefits within the next two decades, relying on Social Security alone means you might find yourself in a position where you have to work to keep up with your expenses. Americans aren't strangers to debt, as evidenced by the fact that 20% think they'll take theirs with them to the grave. But carrying large amounts of debt could create a scenario where you're perpetually forced to work just to make your minimum payments. And if you're thinking of filing for bankruptcy and retiring thereafter, think again. For one thing, not all debts are dischargeable in bankruptcy, but more important than that, if you ruin your credit when you're older, you'll have a hard time getting financing for just about anything. This means that you'll need to be prepared to always have the cash on hand to cover your expenses, and working might be the only way to get there. It's natural to grow accustomed to a certain lifestyle during your working years, and there's certainly nothing wrong with enjoying a comfortable home or a nice car when you're bringing home a large enough paycheck to pay for those luxuries. But if you're convinced you won't ever manage to get by on less, and you're not willing to make any sacrifices as a senior, such as downsizing your living space, then there's a good chance you'll need to continue working indefinitely. In the absence of truly abundant savings, which most seniors don't have, you simply won't have any other means of paying the bills. Unlike the first three items on this list, here's a talking point that's not negative: If you enjoy what you do, and thrive on having a solid routine, then you may wind up never retiring by virtue of not wanting to give that job up. Say you're a technology professional who's passionate about computers and networks. If you're able to start your own consulting business, you can continue working at your convenience even as you age. You might eventually start cutting your hours as you get older, but if your work brings you satisfaction, and the idea of endless downtime sounds categorically unappealing, then you might actively choose to never really retire. Contrary to popular belief, not everyone gets to retire, or at least not in the conventional sense. If the idea of always having to work in some capacity doesn't appeal to you, then it's time to focus on building your savings, paying down your debt, and adjusting your lifestyle expectations. Otherwise, you could be in for some major disappointment down the line.